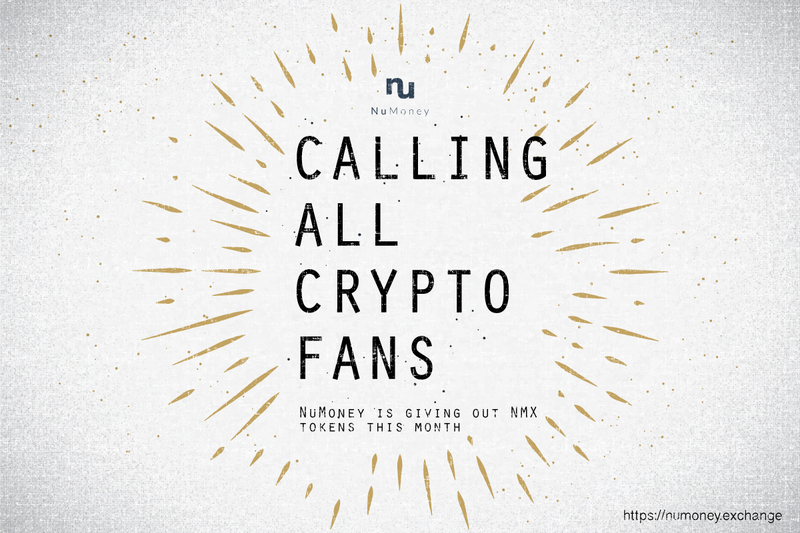 NuMoney is giving out NMX tokens! After pushing out our Bitcoin market, we will also be launching our own NMX token, and we would like to share some with you! All you have to do is to trade any amount of Bitcoin to get 100NMX tokens. However, this promotion is only valid until the end of this month so start trading today! If you're wondering what are NMX tokens, read our whitepaper. Do note that this promotion is only available for a one-time redemption and for trades involving 0.001BTC and above. Promotion valid till 30 June 2018, 2359 SGT.